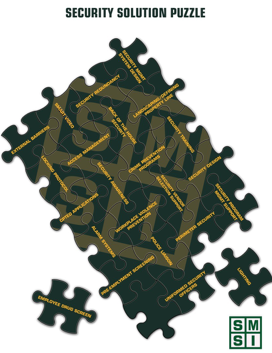 SMSI Inc. offers onsite, one or two day training programs that are industry specific. Each program is developed with the specific needs of each client in mind. These programs include, but are not limited to, Supply Chain, Healthcare, Shopping Malls, High-rise Buildings, Schools and Residential Complexes, to name just a few. These programs are custom designed to meet the unique needs of every client and the content is industry specific. Each program is especially designed to address the security and loss prevention needs of the client being served. These one day programs are provided onsite at a location of our client’s choosing. This objective requires a collaborative effort by SMSI to ensure that each training program is responsive to the special needs of each client. This program is applicable supply chain organizations, healthcare, the biotech industry, shopping malls, building management, schools, residential complexes, and manufacturing operations. Typically, these programs also provide guidance as to how to more effectively deal with security vendors, always keeping in mind budgetary constraints. Also included the application of when and how to apply cost-effective Crime Prevention Through Environmental Design techniques, otherwise known as CPTED, is critical to maximizing ROI. CPTED techniques will provide a unifying force for the entire security program. Because Security is a Situational Discipline, no two security programs, even within an industry vertical, are ever the same, in part because no two threat environments are exactly the same. 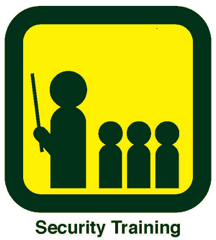 These custom training programs address the application of behavior modification strategies as a force within all effective security programs. We call it the Psychology of Security Programs. Each program is developed to meet the specific needs and challenges of the client being served. This means that SMSI will present a program that addresses the specific needs identified by each prospective client. As this graphic shows, effective security programs must be synergistic. The ultimate goal is to produce a security program where the whole is greater than the sum of the parts. No security program is better than its weakest link. Both the reality and the perception of you security program are equally important. Security must be layered, often with some redundancy, and responsive to the ambient threat environment. Finally, this program will help to ensure that all employees are part of the solution, and not part of the problem. For further information, contact Bill Nesbitt, CPP, Certified CPTED Practitioner.